Most people think that choosing a degree in college depends on one’s interests. However, choosing a degree to pursue is not as easy as that. It takes plenty of consideration, especially since plenty of degrees in college produce jobs do not pay much at all. If you want to choose a degree in college that puts you in a successful career path with many options to choose from, then think of what a course can do for you first, before thinking whether you like it or not. With unemployment rates for both recent and experienced graduates going from 6% to 12% and with one of the worst ROI out there, choosing to take either of these degrees in college will not make you money. 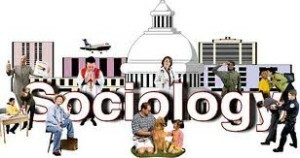 People who graduate with a degree in Sociology love to help other people. However, in terms of money, they are more likely to be the ones in need of help. With a median salary ranging from $39,000 to $50,000, and little career opportunities, this is a degree that you may want to think twice about before taking. Fine Arts graduates rarely do well in other fields. In fact, most make the choice to move to a different field or industry once they feel unsatisfied with their lack of success in their chosen profession. With a median salary ranging from $30,000 to $45,000, it is not surprising that they do so. People with these kinds of degrees in college usually do not find themselves employed in jobs with high salaries. Median salaries for recent grades usually are within the $30,000 range, low for such a degree that requires plenty of investment while enrolled in a university. If teaching is your passion, you may not want to take up education immediately. In fact, experts encourage you to think twice. If you really want to teach, try considering other degrees in college with better career opportunities first. Median salaries for teachers are less than $50,000, making it one of the less financially fulfilling jobs out there. Not to mention, it is a job that will take up much of your time. The median salary for those with degrees in history barely go more than $50,000 and unemployment rates go for between 5.8% and 10%. History is certainly not for those who want to have a high-paying job. Whether you devote your life to the service of others and become a priest, or simply want to take up a degree in Theology, you should not expect yourself to be in a high paying job. In fact, recent estimates show that those who take up these degrees in college have median earnings ranging from $30,000 to $48,000, which is quite low for a degree that costs much. Working as an event planner has a median salary of usually no more than $40,000, and the same goes for other jobs in the same industry. Unless you become a flight attendant in a famous airline company, taking up a degree in Hospitality or Tourism is not going to land you a well-paying job. Those who find themselves pursuing this degree have median earnings ranging from $30,000 to $45,000, with unemployment rates at a very low 4.5%. You will find that other degrees in college are more fulfilling. 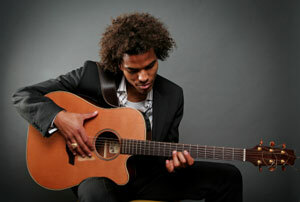 In fact, taking up a minor in Music may be better for you and your career after you graduate. Physical education teachers, gym trainers and instructors, etc, usually do not earn as much money as you think. With unemployment rates rivalling those with degrees in music at 4.5%, earning more than a median salary of $50,000 is a long shot. Make sure to stay away from these degrees in college as you plan for your future. If you have something to add to the discussion or list, or just want to say or share something, we welcome your comment below. Are you unsure about what course to take up in college? Or are you an employee who’s trying to move up the ladder by going back to school? 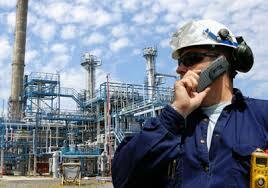 Production engineers ensure the installation, operation and maintenance of oil field equipment. On the other hand, drilling engineers develop and design methods to locate and extract oil/gas from underneath the surface of the earth, as well as from older wells. As long as oil remains an important source of energy, the demand for petroleum engineers will be as crucial. IT managers and computer systems managers are in charge of all computer-related activities in any organization. These include the basic jobs such as installing and upgrading computer hardware and software. Delicate tasks include the security of a company’s computer network and electronic files. They also develop new technology to upgrade the existing computer systems of the company. With the growing importance of cyber security and the increase of company’s usage of wireless and mobile networks, the need for personnel in the IT field will be continuous. Finance managers are responsible for the financial well-being of an organization. They create financial records and reports that reflect the financial status of the company. They are also tasked to assist management in making financial investments. They are involved in budgeting, cost-cutting, and profit-building. Known in popular culture as Rocket Science, Aerospace Engineering deals with the research, design, manufacture and testing of aircraft, spacecraft and aerospace products. Aeronautics are for aircrafts that travel within the earth, while astronautics are for those that travel outside the earth’s atmosphere. This field is also into developing new technology for satellites, missiles and defense systems. People with math skills have become very valuable to employers because of the data-driven market we now have. 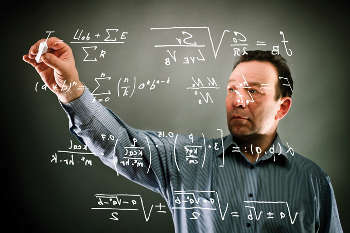 Mathematicians who analyze data and make forecasts based on them are crucial in any problem solving situations be it in the academics, business industry, or government. Not all who have a Math degree in college end up as mathematicians. There are also those who become financial analysts, computer systems analysts or even economists. Economists study and analyze economic issues. They interpret and forecast market trends. Most of them work for private employers and help companies understand how the economy will affect their business. Other private jobs include those in research firms and international organizations like the World Bank or United Nations. There is also a lot of economic work in the federal, state and local government. 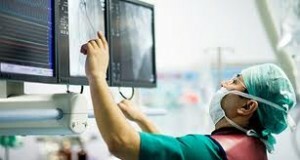 Biomedical Engineers combine engineering with the medical field in order to find solutions that improve patient care. These involve the design of artificial organs and devices that replace body parts such as kidneys, knees and hips. They also install, maintain, repair and provide technical support for biomedical equipment. There are also biomedical engineers who become post-secondary teachers or university professors. 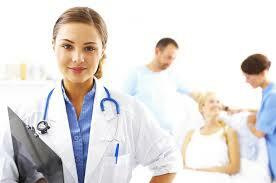 Nursing is one of the most popular degrees in college worldwide. The demand for nurses is projected to grow by 19% from 2012-2022 due to the increase of the aging population and as a result of the federal health insurance reform. Nurses provide patient care and educate the public in general about health issues and conditions. Being a registered nurse usually leads to becoming an APRN ( Advanced Practice Registered Nurse) or nurses with a specialty role like anesthetist nurse, midwife nurse and Nurse Practitioners. APRN’s have a higher 2012 median pay of $96,460.00. 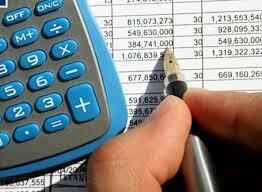 Accountants and auditors deal with financial records of a company. They ensure that they are prepared, summarized and interpreted according to applicable laws and regulations. Aside from preparation of financial statements, they are also responsible for ensuring accurate computation and prompt payment of taxes. In addition, auditors review financial records and operations and ensure quality and conformity with company’s policies and procedures. As a teacher, you may handle students ranging from the youngest children ( kindergarten teachers) to college students (postsecondary teachers). 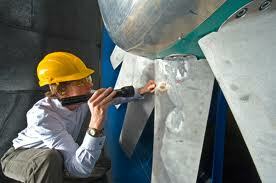 There are also those who teach technical courses like culinary and auto repair. But education is not limited to teaching — there are also those who become Principals and Administrators whose median pay range from $86,490.00 to $87,760.00. Demand for graduates in education will increase due to retirements and the increase in the number of children and adults enrolled in different types of schools. For Science, Technology, Engineering and Math disciplines, the US Department of Defense has the SMART Scholarship ( Science, Math & Research for Transformation) to support both undergraduate and graduate students. The grant includes full tuition and other school related expenses, health insurance reimbursement, and paid summer internships. However, applicants must be willing to work for the Department of Defense after graduation. Scholarship America is an educational philanthropic organization that grants scholarships and educational support to students in various communities across the United States. Most universities have various scholarships for different college courses. Requirements for these scholarships vary depending on the sponsoring organization. But usually, a grade requirement has to be maintained or the student must fulfill a post-graduation employment contract. Success is not just a word. It is an equation. Having the right college degree is just as important as having the right experience and the skills needed for the job. These are equal parts of the success equation. So choose the right college degree and have your own winning formula. The work of a detective is attractive to any young man (or woman) looking for a promising, exciting and challenging career. Detectives are too familiar nowadays in many movies and novels. They are often lead characters that we envy and want to be. But how can you become a detective without becoming a police officer first? It’s simple: You become a Private Detective or Private Investigator. 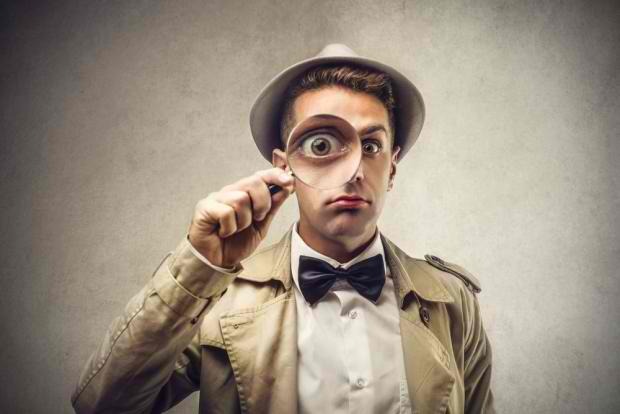 By its literal name, a private detective is a self-employed individual who is hired by private clients. And while solving big time crimes like homicide and robbery is the work of law enforcement, being a private detective uses the same investigation skills to help private clients. One of the most common specializations of a Private Investigator is doing a background check on people. They also do corporate investigation of fraud and embezzlement, looking for missing people, gathering evidence for insurance fraud and marital infidelity for divorce cases and computer forensics. There are even those who engage in bodyguard services. These detectives sometimes go undercover to obtain information and observe their subjects. Surveillance is also a part of the job when investigating a case. This is the exciting part when the detective uses gadgets like hidden cameras, binoculars, and GPS tracking devices to gather relevant information on the person of interest. Since detectives have the same authority as a private citizen and do not have police powers, they should be knowledgeable and mindful of the federal, state and local law when doing investigative work. Otherwise, evidence gathered may be thrown out in court. For Private Investigators, there will be tough competition since there are a lot of young retirees from the military and police who also go into detective work after retirement. So for those non-cop detectives, it is always important to know how to become a detective-a competitive and competent one. 2. Must have experience in investigative work for 3 years and totaling 6,000 hours in private investigation agencies. 3. 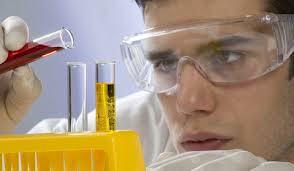 A degree in criminal law or police science can be used in lieu of the work experience. 4. Passing mark in a written exam. 5. Undergo Criminal History review. For those who want to work as bodyguards, they are permitted to carry a gun while on duty provided they have a concealed weapons permit issued by the local law enforcement agency and a BSIS exposed firearms permit. To become a detective, education requirements vary depending on the job, though the minimum is usually a high school diploma. Although work experience in the related field is the most important factor, a bachelor’s degree in criminal law or political science is an advantage. 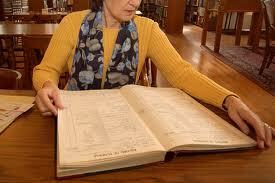 For those who want to engage in Financial Investigation or Insurance, a degree in Accounting is usually required. On the other hand, Corporate Investigators need a degree in a business related course. Computer Forensic Investigators need a degree in Computer Science. There are various government and private organizations that have been created to provide students with grants for studies. Those interested in the field of Criminal Justice, Law, Private Investigation and corrections can also apply for grants in their field of study. These grants have conditions and criteria that have to be met by the student. The most important is obviously the investigative skill. This is usually gained through years of education and training. The ability to be attentive to details and be a keen observer is invaluable. Communication skills come next because in this job, it is crucial to listen carefully and ask the appropriate questions. 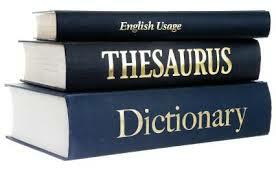 An investigator must also be resourceful and persistent; he must be able to work with whatever lead he has. Lastly, one must have patience, because an investigation may take a long time before you get the desired result. According to the US Department of labor, the May 2012 median pay for a private investigator is $45,470 per year or $21.99 per hour. 4. Investigation, Guard, and Armored Car Services. In the same report, there were 30,000 private investigator jobs in the United States. This figure is projected to increase 11% from 2012-2022, which is an increase of 3,300 in numbers. Increase in demand will be because of an expected increase in cyber crimes, internet scams, financial and insurance fraud. Now we know how to become a detective and that a detective is more of a researcher than a hero. He is more on rounding up facts and not felons. But hey, isn’t this just as exciting and fun job to do- just without the handcuffs and the reading of the Miranda rights? Yeah, and remember that Sherlock Holmes was a private detective. Art is not just a course in school. It is an expression of one’s creativity and imagination. Teaching art is not just a profession, it is also sharing a passion. But what does it take to become an art teacher? Art courses aim to develop skills in painting, design, craft and other visual expression of students. An art teacher helps students develop their artistic skills not only by using classroom instruction but more importantly by giving hands on projects in sculpture, painting and other areas of the arts. As a classroom facilitator, the basic role of a teacher is to prepare the course outline and see to it that it meets the school requisites. The syllabus will serve as the instructional guide for daily lectures and assignments. Examinations are conducted and graded to ensure the comprehension of the students. 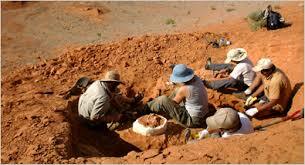 But unlike other academic courses, creative hands-on projects are more important gauges of the student’s learning. An art teacher examines a student’s portfolio of artwork in order to judge his overall progress. 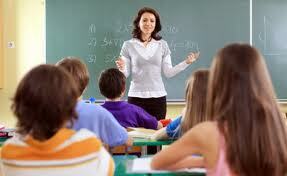 The teacher becomes a coach by providing assistance in the areas where the student needs improvement. Aside from these classroom activities, art teachers often take their students on field trips to see art galleries, exhibits and even visit master artists to observe and at the same time get a grasp of the creative world. Teaching usually requires a degree in education. In the case of art teachers, it is Art Education. However, there are institutions that allow other degree holders to teach art, especially those who are Art Degree Holders. These Teaching Education Programs require additional subjects including lesson planning, classroom management and teaching methods. Once you complete this program, you can begin teaching. There are also universities that require art teachers to have a master’s degree or doctorate degree in Fine Arts. These degrees usually take multiple years to complete after the bachelor’s degree. 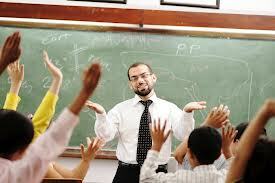 According to the Bureau of Labor Statistics, teachers who have a doctorate degree have a higher earning potential. Generally, public schools hire only certified art teachers while private schools may not require teachers to be certified. There are states that require teachers to pass basic skills exams in math and reading while there are those that require demonstration of competency in the arts. There are schools that prefer those who have prior work experience like internship, volunteer for community programs or being a substitute teacher but these are not required. Hands-on experience in painting, sculpture and other arts can also be a very important factor in becoming an art teacher. The Arts is a very unique field. An art teacher must be creative and have a passion for the arts. You must have the desire to share that passion with other people. It is having the ability to inspire and drive your students to be innovative. You must let them use their imagination and express creativity through their craft. Since artists take time to develop, an art teacher must be patient and have empathy. Listening is also an important skill in the arts, because in this field, there are no boundaries and set of rules. Artists are unique and must be treated differently. Communication skills are also very crucial in this field. According the US Bureau of Labor Statistics, the median annual salary for post- secondary arts teachers in 2012 is $62,160.00. For Kindergarten to high school teachers in general, the median pay ranges from $53,090.00 to $55,050.00. 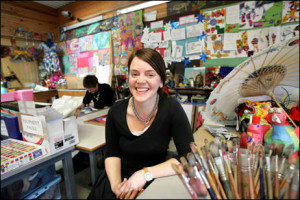 Although the pay for art teachers is not as high as that of other educators, teaching arts is rewarding. Art teachers get to work with students from various ethnic, racial and religious backgrounds. In the same BLS report, the number of art teachers is 114,300 in 2012 but is projected to increase to 132,600 in 2022 or a 16% increase as compared to the average of 11% for all occupations. There will be a difference however in the demand for tenured positions as universities and colleges are now leaning towards hiring part-time teachers instead. Opportunities are therefore higher for those who want to freelance or teach part time. It’s not about mathematical formulas, profit and loss, chemical symbols and even political laws. Art is about passion, imagination and creativity. We all have those inside of us. If you want them unleashed, be an artist – be an art teacher. 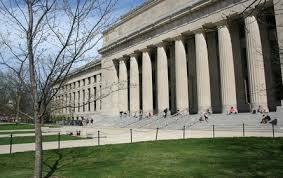 The Massachusetts Institute of Technology is a popular school that allows Computer Engineering students to create projects that will change the world. The tuition is approximately $41,770 per year for full-time students. 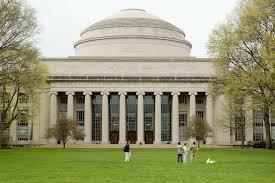 In terms of scholarships, the school offers MIT scholarships, federal grants, state and private scholarships. With a score of 4.9 in the overall ranking of best Computer Engineering schools in the US, the University of California—​Berkeley is the one to beat. The tuition is roughly $11,220 per year for in-state, full-time students and $26,322 per year for out-of-state, full-time students. 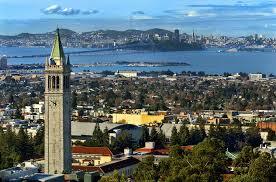 In terms of scholarships, the school offers the Berkeley Undergraduate Scholarship. By invitation of the university, the students can also enjoy the Regents’ and Chancellor’s Scholarship and Cal Opportunity Scholarship. The basic code of belief for the Computer Engineering students of Carnegie Mellon University is to drive the future and to get ahead of anyone. No wonder the school has prioritized quality education and excellence in the field of Computer Science and Computer Engineering. Even though the tuition per year is a bit high, which is approximately $38,900, the school is still one of the best choices for incoming college students. 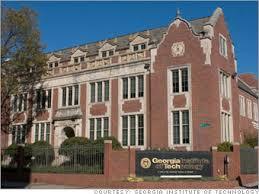 The university offers financial grants such as Carnegie Scholarship and Scholarships for Graduate Students. The school also facilitates the application of outside scholarships by qualified students. 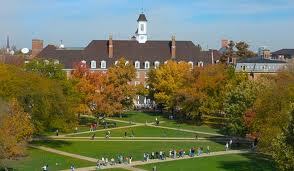 The University of Illinois—​Urbana-​Champaign is one-of-a-kind academe in the US. It has amazing ways to revolutionize all components of life, including high-speed data transmission. The tuition is roughly $16,352 per year for in-state, full-time students and $29,618 per year for out-of-state, full-time students. The school has merit-based, need-based and other undergraduate Scholarships. As a top-notch university, Cornell University remains in the front line of computer-related education through the years. Obviously, the students embraced the goal of the school to drive the future of computer engineering by providing quality education. The tuition is more or less $29,500 per year for full-time students. For qualified students, the university offers Cornell University Grant and Endowed Scholarships. The students of Georgia Institute of Technology are well-known for creating amazing projects such as origami-shaped antennas and intelligent machines. In terms of tuition, each in-state, full-time student should prepare $10,584 per year. On the other hand, out-of-state, full-time students should prepare $26,860 per year. The financial aid programs of the university include institutional scholarships with recipients selected by the Office of Scholarships and Financial Aid, G. Wayne Clough Tech Promise Program, Godbold Family Foundation Scholarship, President’s Scholarship Program, Provost’s Scholarship among others. University of Michigan—​Ann Arbor has remarkable programs for the students in the field of computer science and computer engineering. The tuition is approximately $22,518 per year for in-state, full-time students. For out-of-state, full-time students, the tuition is $41,914 per year. The students can choose any of the scholarships offered by the school such as E.M. & F.L. Abbott Scholarship, Alumni Association of Taiwan Scholarship, Ross Andrews Memorial Scholarship and others. University of Texas—​Austin (Cockrell) prides itself for having top-notch, multi-awarded and experienced professors. Tuition for in-state, full-time students is $9,564 per year. On the other hand, out-of-state, full-time students should pay $17,506 per year. The current scholarship of the university is Texas Engineering Foundation Scholarship and Microsoft College Scholarship Program. 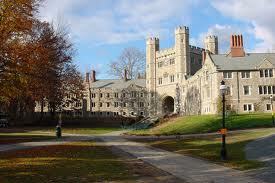 Princeton University is well-known for computing, programming languages and computational biology. The tuition for full-time students is roughly $38,650 per year. You can contact the Financial Aid Office to know more about undergraduate scholarships. Through the years, Purdue University—​West Lafayette has produced top-quality graduates. The tuition for full-time, in-state students is more or less $10,332 per year. On the other hand, the tuition for out-of-state, full-time students is roughly $29,134 per year. 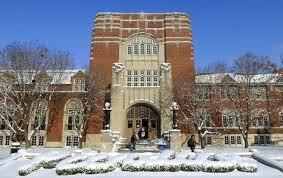 For students who want to apply for scholarships, contact the Purdue Division of Financial Aid for more details. There are undergraduate courses that have been proven beneficial in society such as technological programs and continuing courses. One of these technological programs is the ultrasound technician course. The Community College of Allegheny County is known for its highly qualified faculty that train students in the best way possible. In terms of tuition, residents of the country should pay $ $95.50 per credit. On the other hand, non-residents should pay $191 per credit. The school has allowed applicable federal grants, local aid, institutional grants and student loans. The Harrisburg Area Community College-Harrisburg has offered ultrasound technician course for those who want to become ultrasound technologists. 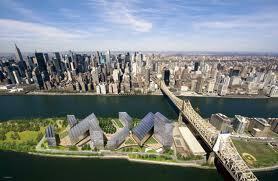 It is known for preparing students to build the logistics industry and strengthen health care services. In terms of tuition, sponsored in-state residents should pay $176.50 per credit. On the other hand, non-state residents with sponsors should pay $345.50. The students can choose from two types of scholarships: the HACC Scholarships and grants from other agencies. For those who are looking for a school that offers ultrasound technician course, don’t forget to research about Great Lakes Institute of Technology. The institution has trained many allied health students and professionals through the years. In terms of tuition, aspiring students should prepare at least $18,000 for an academic year. Don’t hesitate to contact the school’s Financial Aid Office to know more about their scholarship grants. Lackawanna College is a school that prioritizes high quality education in the field of medical training, including ultrasound technician program. The school is well-known for its first-class education and top-notch student support service. In terms of tuition, the school has a flat fee of $6,240 per semester for 12-18 credits. Lackawanna College has offered many scholarship programs such as Academic Achievement Scholarship, William R. Fitzsimmons Scholarship, Follett Legacy Scholarship, Lackawanna College Community Opportunity Scholarship, Lackawanna College Family Scholarship, Jane MacKenzie Scholarship and others. The Misericordia University is a co-educational Catholic institution. The academic priorities of the school are liberal arts, professional and pre-professional courses. The tuition for a full-time course with 12-17 credits is $13,335.00. The institution offers many scholarships such as Presidential Scholarships, Transfer Scholarship and Legacy Scholarship. Many students who want to take up Ultrasound Technology course choose Northampton County Area Community College because the school has impressive track record in providing extensive academic programs. In terms of tuition, the total amount per credit is approximately $400. It includes all-inclusive rate, technology payment and capital outlay fee. Don’t forget to take advantage of the Cappex Scholarships before enrolling in the school. For students who want to be an ultrasound technologist, enrolling at South Hills School of Business & Technology is a remarkable idea. 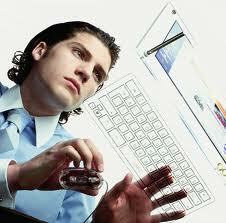 The mission of the school is geared towards providing high quality technological courses. In terms of tuition payment, the expenses per student every year is approximately $ 25,261. There are four scholarships offered by the school. Don’t hesitate to contact the Financial Aid Office of the institution for complete information. The Thomas Jefferson University is well-known for its hospital that cares for patients and houses trainings for its students. Ultrasound Technology students can take advantage of this school facility. The tuition fee is approximately $36,950 every year. The school offers amazing scholarship awards such as Donor Scholarships, Dean’s Merit Scholarships and Academic Merit Scholarships. For remarkable health care trainings, one of the best choices is Sanford-Brown Institute in Pittsburgh on Seventh. The total amount of tuition fee is $19,123 per year. The institution also accepts federal grants application. Before applying for enrolment at Sanford-Brown Institute in Trevose, make sure you already have the necessary requirements of your chosen course. The school representatives are going to thoroughly evaluate your application. The annual academic cost of the institution is $22,236. Don’t forget to contact the Financial Aid Office to know the complete details about scholarships. Are you interested in taking up Ultrasound Technician Course? Do you know anyone who studied Ultrasound Technician course in one of these schools? Share your comments below. Amarillo College is a community college with superior educational framework for college students. For those who live in the state, the minimum payment for two hours is $105.00. On the other hand, non-residents are expected to pay $209.00 for up to two hours. All students are required to pay $37.75 to cover student activity, general and technology expenses. Recently, Cappex Scholarships are offered for Amarillo College students who are exceptional in academic performance and with well-rounded profile in the academe. These tuition grants are A GPA Is Isn’t Everything, My College Review and No. 1 Cappex Fan. For over 40 years, Austin Community College District has provided quality education through its amazing campus, professors and a lot of valuable programs. Tuition fee per hour is $83.00 while non-Texas residents should prepare $262.00 for payment per hour. It’s a good thing that deserving students have choices of financial grants such as ACC Scholarships, Study Abroad Scholarships, Military-related scholarships and the Student Emergency Fund. Texas A&M Health Service Center is known for its Student Health Services. As an estimate, each new student should prepare a total of $21,581.00 to pay for tuition, supplies and other related school expenses every year. There are many scholarship grants for qualified students such as Scholarship for Disadvantaged Students, TAMHSC International Education Scholarship (IES), Air Force Health Professions Scholarship Program and various student loans. Coastal Bend College has incredible on-campus and online courses. It is well-known for its high-quality, affordable and flexible educational programs. The tuition and basic fees at Coastal Bend College is approximately $9, 282.00 for every academic year. Every semester, the estimated payment is $4,641.00. In terms of financial aid, students are encouraged to coordinate with the Financial Aid Department of the school to apply for applicable scholarship grants. Blinn College has four campuses in Texas. The school is well-known for its dedicated faculty. Currently, the institution offers a pay-as-you-go scheme. The approximate tuition fee for an academic year is $1,944.00 for students who are residents of Texas. On the other hand, non-residents are required to pay $3,816. Aside from that, dental hygiene students may also enjoy financial grants such as Fall Scholarships. 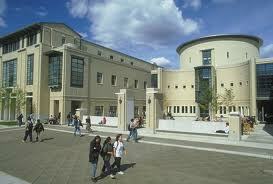 If you’re looking for outstanding programs with affordable cost, Del Mar College is one of the best choices. 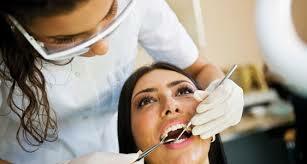 Don’t hesitate to enrol for a course such as Dental Hygiene associate degree to have a brighter future. For three semesters, each district residents should pay $350.00 and out-of-district students should pay $611.00. The financial aid of the school is classified as grants, scholarships, loans and other government-funded scholarships. El Paso Community College has diverse ways to cater to the needs of the students and the community. For residents of Texas, the estimated tuition fee is $10,812.00. For non-residents, the payment is $12,492.00. The Financial Aid Office of the academic institution offers grants, loans, scholarships and emergency funds for qualified students. Howard College is a two-year community college with remarkable programs. It has served many dental hygienists to improve their knowledge. 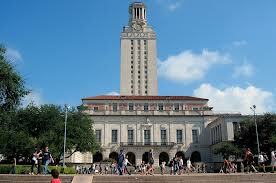 For students who are residents of Texas, the approximate tuition for an academic year is $8,574.00. On the other hand, non-residents of Texas should pay $10,084.00 for tuition every year. The school is popular with Endowed Scholarships such as Adam Andrews Memorial, Ag Expo, John Bayne Memorial and others. As a public liberal arts intuition, the Midwestern State University continues to offer Dental Hygiene program for students. It is popular for its affordable online programs. However, the tuition for on-campus courses is not affordable. In terms of tuition and fees, in-state students should pay $7,254.00 and out-of-state students are required to pay $9,204.00 per academic year. You can explore the available financial aid packages with the help of the school’s Financial Aid Office. Obviously, Navarro College is in the forefront in terms of health-related academic programs. Since it has an open admission policy, students are free to take courses in a flexible manner. However, the tuition fees are higher compared to other schools. The tuition for Texas residents is $10.438.00 per year. For non-residents, the payment is $11,758.00 for an academic year. Thankfully, the school offers various scholarships such as The M.C. and Matie Caston Scholarship, Charley Wooten Grant Program and Brilliance Dual Credit Scholarship. Are you familiar with any of these schools? Share your thoughts through the comment section below. If you want to study in a reputable bible school with applicable financial aid, don’t hesitate to study at Zion Bible College. Here are important data about the school that many aspiring college students want to know these days. Zion Bible College is located at South Main Street, Haverhill, Massachusetts. The current name of the academic institution is Northpoint Bible College or NPBC. Basically, the school prepares students for Pentecostal ministry through trainings and applicable programs. It is a type of educational establishment that is private and not-for-profit. It offers 4-year courses to students who want to spread the Christian gospel to the world. For those who are looking for special learning opportunities, the school has distance education, evening and weekend classes. It has offered special focus courses that are common in an institution that has theological programs and other faith-related instruction. There are many student services offered at Zion Bible School. The educational institution offers corrective services, scholastic or career analysis service, employment services for students and appointment services for completers. The credits accepted at the school include dual credit, credit for life experiences and advance placement recognition. To enrol in the school, you should prepare $35 for application fee. The academic year fees for new, full-time undergraduates are considerably affordable. In terms of tuition and fees that are applicable for the current school year, the payment is $9, 980.00. It is applicable for in-state, out-of-state programs and in district programs. For books and supplies, don’t forget to prepare $1,800. By the way, on campus and off campus room and board rate is $7,600.00. For other expenses, prepare at least $3,600.00. The approximate total expenses are $21,900.00 per student in an entire school year. It is a good thing that the school accepts students with scholarship endowment. It is the responsibility of each student who wants to apply for admission and scholarship in the school to prepare the necessary documents before enrolment. Based on the school data, qualified students may accept Pell Grants and other federal financial assistance. It includes Stafford Loan grants for eligible students. To submit an application for a Federal Stafford Loan, get in touch with the financial aid office of the school. In addition, you may also contact the Department of Education at 1-800-433-3243. 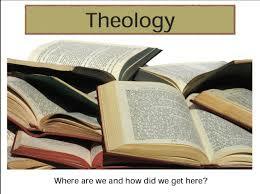 The Federal Stafford Loan program is applicable for Theology and Religious Vocation course. However, eligible students for federal scholarship program must submit a duly-completed FAFSA or Free Application for Federal Student Aid documents. There are other ways to secure a loan program for students who want to study at Zion Bible School. One of these ways is to apply for private student loans. Don’t hesitate to read Private Student Loans website before applying such kind of student financial aid. Do you like to study at Zion Bible School? Are you looking for ways to study at the academy without spending more money? Let us know in the comments section. We would love to know your thoughts about the school. Career Q & A: What Exactly Does An Accountant Do? An accountant has one of the most secure jobs across many industries even during recession. According to the Occupational Outlook Handbook (2008-09) of the Bureau of Labor and Statistics, the employment rate of accountants and auditors is predicted to increase by 18 percent from 2006 to 2016. It is a faster growth rate when compared to other professions. This makes one think: what does an accountant do that they are given such importance? The work of an accountant is very broad and greatly differs depending on his or her career option and the particular position being handled. Generally, accountants are involved in recording, analyzing and reporting financial transactions of a business or organization. How much is the average salary of accountants? As of 2011, the average annual salary of accountants is more than $62,000 where 10 percent receive around $110,000 and the lowest are paid around $40,000, based on data provided by the Labor Department. Many of the highest paid accountants are working in San Jose, Nassau and the New York metropolitan areas. What are the educational requirements to be an accountant? To get a job in the accounting field, you must at least have an associate degree. You can get this degree in at least two years and it entitles you to apply for an entry level position in accounting. If you like more career options, you should go for a bachelor’s degree. A bachelor’s degree is also required if you later plan to take up a master’s or doctorate degree in accounting. What are the career options for an accountant? 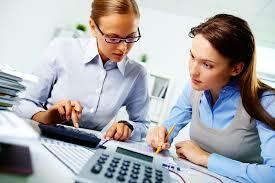 Public accountants – Public accounting is the broadest category in the accounting profession. If you choose to be a public accountant, you can be a bookkeeper, tax advisor, auditor, consultant or forensic accountant (an accountant who investigates financial crimes such as fraud). Management accountants – If you like to work for a specific company and be directly involved with its financial planning, budgeting, expenditures and management, you would aspire to be a management accountant. Government accountants – Government accountants work for government agencies or government- owned or controlled businesses. Internal Auditors – Internal auditors are accountants who analyze the business activities of companies to detect internal inefficiencies in accounting controls as well as detect criminal activities such as fraud, embezzlement and others. 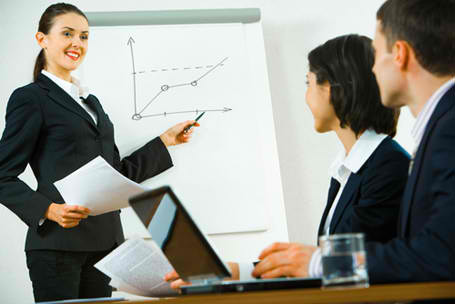 They also provide recommendations on how to improve the accounting system of a company. What are the best accounting jobs? Actuary – Actuaries are accountants who are also knowledgeable in finance and statistics and normally work in the insurance industry. 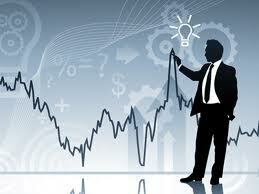 The employment rate for actuaries is expected to have a growth rate of about 24 percent by 2016. Their average annual salary is around $82,000 with the top 10 percent earning more than $140,000. Budget analyst – Budget analysts are involved in budgeting for companies, with the goal of improving efficiency in spending and increasing profits. There is a predicted growth of 7 percent for this job through 2016. Their average yearly earning is more than $61,000. Financial manager – Financial management generally involves preparation of financial reports for companies. The employment growth rate for this job is about 13 percent by 2016 with an average annual salary of more than $90,000. Financial analyst – Financial analysts have the strongest expected growth rate of 41 percent through 2016 and with average annual earnings of more than $66,000. Are there any accounting certifications for career advancement? There are two general certifications for career advancement in accounting. One is CPA certification which is normally taken by public accountants. The other is CMA certification which is normally taken by management or government accountants. The requirements to take these certifications vary depending on the state where they are administered. A survey conducted by the Institute of Management Accountants reveals that the average annual salary of accountants with certification is more than $102,000, while that of those with no certification is just around $80,000. Are there graduate school options for accountants? 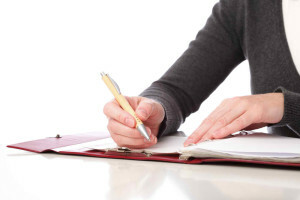 Enrolling in graduate school courses can help accountants in their career advancement. There are two general paths which accountants may take in graduate school: Masters in Business Accounting (MBA) and Masters in Accounting (MAcc). MBA is for accountants who are interested to increase their knowledge in business, while MAcc is for accountants who are interested to advance their knowledge in accounting principles. You will need an MBA degree if you desire a top position in Fortune’s 500 companies. MAcc is required if you want to get other accounting certifications. As for the question, what does an accountant do? The answer is it depends on the type of occupation he or she does and career enhancement certification he or she has. But one thing is for sure, accountants are among the best-paid workers in many industries.